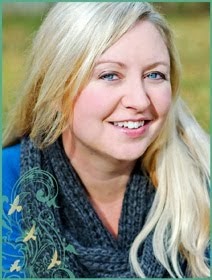 Kristin Creative: 2012 New Year Giveaway Hop! 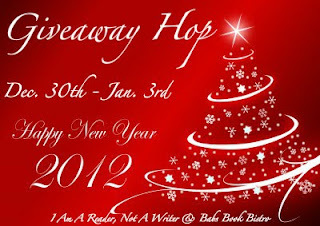 2012 New Year Giveaway Hop! I am number 171 on this gigantic giveaway hop! Special thanks to I am a Reader, Not a Writer and Babs Book Bistro for hosting! 2012! I don't know about y'all, but I'm pumped about this year. There's something about the even number that has such a nice ring to it! This is OUR YEAR, y'all. Let's start the year off right, with a GIVEAWAY! 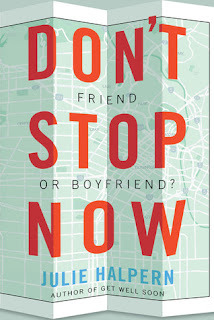 I'm giving away my hardback copy of Julie Halpern's Don't Stop Now! I thoroughly enjoyed this fun story, and hope you will too! On the first day of Lillian’s summer-before-college, she gets a message on her cell from her sort-of friend, Penny. Not only has Penny faked her own kidnapping, but Lil is the only one who figures it out. She knows that Penny’s home life has been rough, and that her boyfriend may be abusive. Soon, Penny’s family, the local police, and even the FBI are grilling Lil, and she decides to head out to Oregon, where Penny has mentioned an acquaintance. And who better to road-trip across the country with than Lil’s BFF, Josh. But here’s the thing: Lil loves Josh. And Josh doesn’t want to “ruin” their amazing friendship.Josh has a car and his dad’s credit card. Lil has her cellphone and a hunch about where Penny is hiding. There’s something else she needs to find: Are she and Josh meant to be together? As an 11 yr old my family did a whirlwind trip through NYS excluding NYC. We went to the capital, lockport, Niagara Falls, Corning, Cooperstown, we toured a milk producting plant in Monticello, and finally my aunt's lake house in Yankee Lake. That sounds like a pretty entertaining read. Hope you're New Years was great! Thank you for the great giveaway. :) I have been wanting to read this.